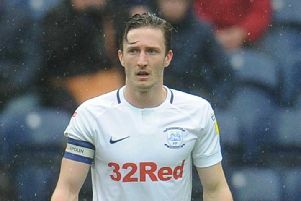 Match-winner Daniel Johnson hailed Preston North End’s backline after they picked up a fifth straight away win at Blackburn on Saturday. The midfielder struck eight minutes in with his seventh of the season ultimately enough for a 1-0 win at Ewood Park. Although Declan Rudd was not overly stretched, the Lilywhites did spend large parts of the game of the back foot with central defensive pair Ben Davies and Jordan Storey integral to victory. “It feels terrific to have scored the winner to be honest,” said Johnson. “But from start to finish it was a really, really good defensive performance. “At the back I thought Davo and Jordan controlled the line really well and got us up the pitch when we needed to. “Then when the ball came into the box they managed to get their heads on it and clear it away. “We were solid and Dec pulled off some important saves as well. Johnson’s early goal came from a fine team move where the ball was worked from back to front. After several passes Lukas Nmecha, in the side for the injured Brad Potts, broke down the right and pulled the ball back for the Jamaican to fire into the roof of the net. “As the play is building you just try to get on the end of things,” Johnson said. “Lukas did brilliantly to beat Derrick Williams and as he’s going down the right I was just hoping he could see me. “It was a brilliant pass, the pace on the ball was perfect and I didn’t really have to do much apart from help it on. Johnson’s goal made it two in two since his return to the starting line-up against Bristol City in the 1-1 draw at Deepdale. “Everybody wants to be in the team and I’ve had to be patient,” he said. “The boys have been doing really well so I had to wait for my opportunity. “Hopefully I can stay in the team now.